An ancient trackway described as Britain’s oldest road. 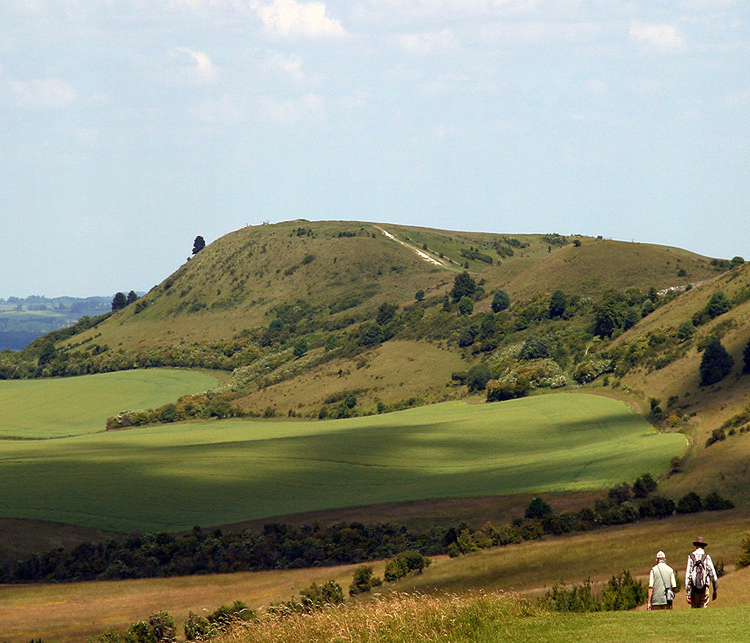 It extends from Wiltshire along the chalk ridge of the Berkshire Downs to the River Thames at the Goring Gap. It consists of part of the old Roman road, the Icknield Way, from Salisbury Plain to East Anglia. In 1972, the National Trail was created along the Ridgeway, from Overton Hill near Avebury, through the Chiltern Hills to Ivinghoe Beacon in Buckinghamshire; 87 miles of walking and pilgrimage. This IS Walking in Albion; people have walked this trail for at least 5,000 years. It was part of an ancient trade route between Dorset and The Wash in Norfolk. Along its back were hill forts so it felt secure (or more secure!) for the traveller and for moving livestock. Location: The Ridgeway National Trail follows the ancient Ridgeway from Overton Hill, near Avebury in Wiltshire, to Streatley, then follows footpaths and parts of the ancient Icknield Way through the Chiltern Hills to Ivinghoe Beacon in Buckinghamshire. The National Trail is 87 miles (140 km) long.